When the idea for this post came up, truth be told, I panicked a little. Although I love flowers (I mean, what girl doesn’t?!) and have pulled together many arrangements in my day, I always advise (where budget allows) to never DIY your florals. But let’s face it, when budgets are factored in not everyone has the luxury of working with a floral designer. So to all you ladies feeling brave and looking to stretch your dollar without compromising an ounce of pretty, this blog’s for you! Step 1: saturate your floral foam with water and place into your vase. 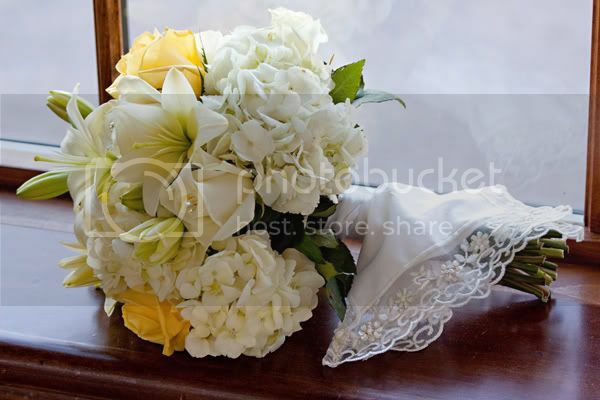 Begin to build your floral arrangement creating a starting point for your two front facing corners. Make one over flowing with eucalyptus and the other tighter to the center with queen anne’s lace. Step 2: continue to build your arrangement by adding another overflow on the opposite corner to the original and begin to fill out your middle with a blend of sedum and lisianthus. Step 3: continue to fill in your arrangement, adding in astilbe. Start to concentrate on your arrangement as a whole, paying attention to all angles. Step 4: add in spray roses. as you work on filling your arrangement make sure to fill all gaps and keep a mix of flowers throughout the whole. 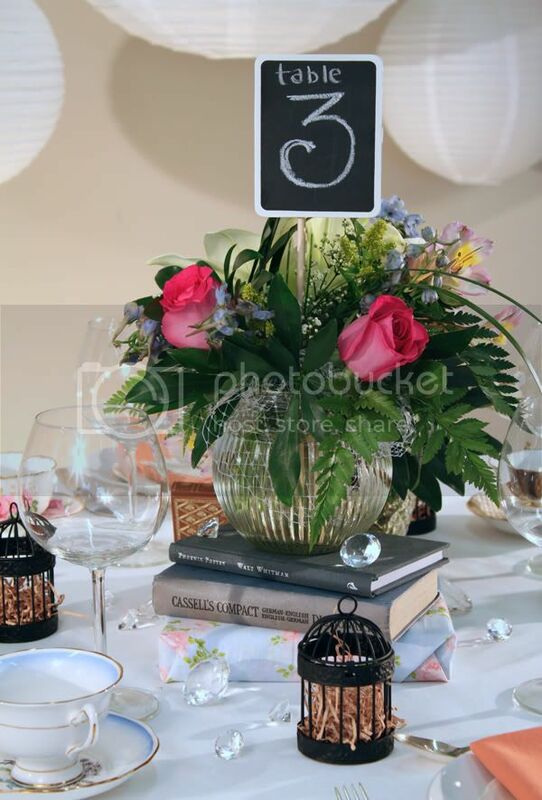 You could stop right here but for a fuller table arrangement (and some added decor), finish off the look with a couple of votive holders filled with a few floral stems, as well as some candlelight. If you’re all about DIY’ing your centerpiece but want something a little less labor intensive, check out our Decorative Bottle Vases and Springtime Centerpieces posts. Irene + Matt’s Mediterranean vintage inspired wedding is beyond gorgeous! I had the unique pleasure of talking with Irene all about her big day and it was treat to know what inspired such an amazing wedding design. With gorgeous purple accents, a bridal hairstyle that still has me breathless and fun photos that really show both Irene + Matt’s personalities, this wedding is the perfect inspiration for choosing wedding color palettes and themes. Congratulations you two! 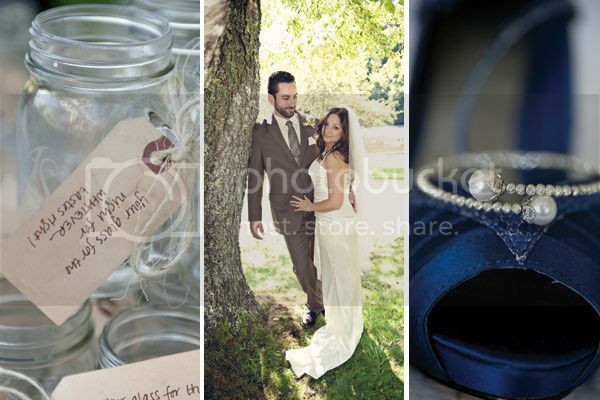 Ally + Shaun had a gorgeous homespun wedding in Maine this past September. I love how their friends and family pitched in to help with all the DIY details that truly made their day unique! From the homemade treats to the laid back mason jar drinks, it’s simple to see Ally + Shawn’s personalities are woven into each part of their intimate wedding. Congratulations you two, it looks like it was a blast! It is not too often that I receive a submission with a staged photoshoot, and less often that I will accept them. However this particular one is so incredibly stunning, there wasn’t a chance I was going to deprive all our fabulous readers! I’m always saying things like ‘all you need is a little imagination’ or ‘ the possibilities are practically endless’. You may or may not believe me, but today I’m going to show you that those sentiments are exactly right. 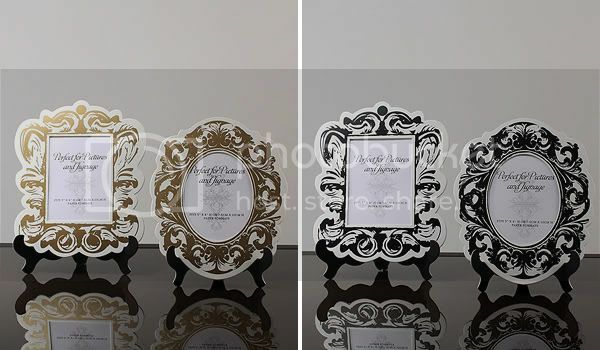 We have a simple product here at Weddingstar – the Baroque Frames. They are pretty straightforward, either black or gold, square or round, big or small. 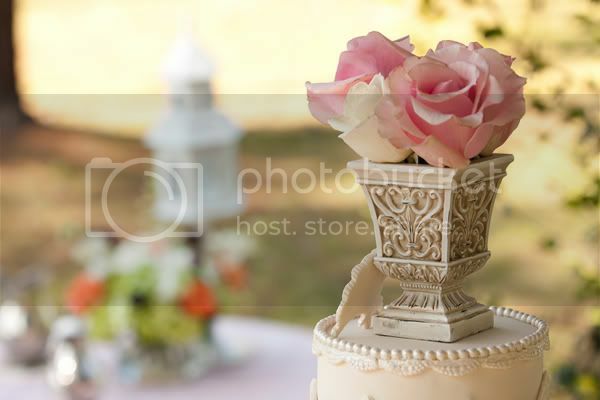 At first glance you see a nicely designed frame that may or may not fit in with your wedding decor. Take a look again. What could you do with this simple product? Put a picture in it? – That’s what frames are for right? Well you could do that.. OR you could try out one of these 6 ideas we’ve put together to start you off! 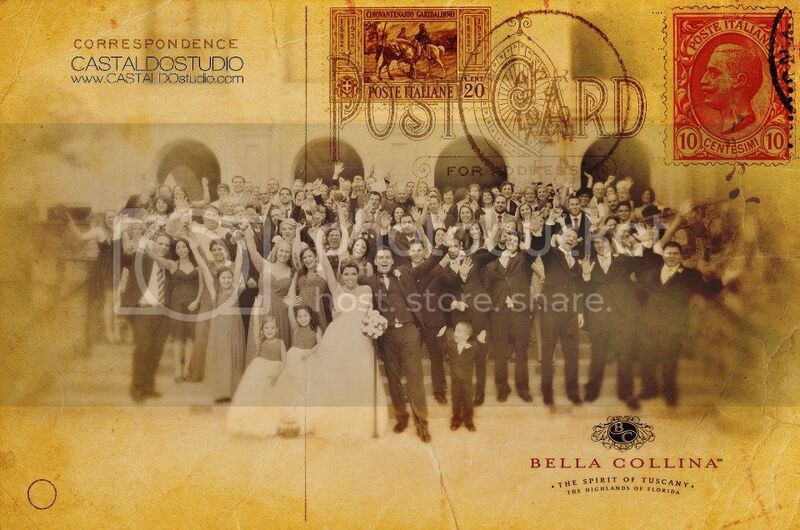 Every wedding should have at least one thing that is extra special and unique. A little something that comes straight from the heart and makes you realize how in love the Bride and Groom really are. In this sweet wedding it was the vows, letters that spoke of first meetings, hope for the future and in the Groom’s case; his delight that not only would this wedding give him the woman he loved for his Bride, but also her daughter, Isabella, for his own.